The Mesoamerica Center is an interdisciplinary organization within the Department of Art and Art Historyof the College of Fine Arts. The Center aims to facilitate knowledge, learning and understanding about the ancient indigenous cultures and peoples of what is now Mexico, Guatemala, Belize, Honduras and El Salvador through education, research and exchange.The Center aims to foster communication among many academic units on campus, highlighting the interdisciplinary strengths of faculty and students at UT-Austin. 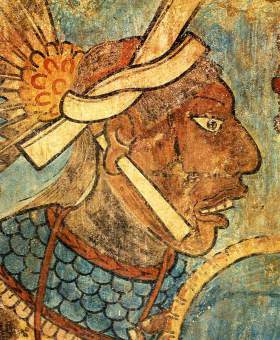 The Mesoamerica Center's primary focus is on the arts, language, and archeology of Mesoamerican civilization. The Mesoamerica Center oversees The Maya Meetings, a premier academic conference and symposium on Mesoamerican culture, and Casa Herrera, a research and teaching facility in the heart of the city of Antigua, Guatemala.